Wine bottles make the wine! There is something magical about seeing your homemade wine go into the bottle. A sense of pride will overcome you when you see your bottled wine lined up in the racks.
" I believe that the responsibility of the winemaker is to take that fruit and get it into the bottles as the most natural and purest expression of that vineyard, of the grape varietal or blend, and of the vintage." The wine bottle will be the final keeper of your wine before you enjoy the fruits of your labor. The bottle will serve as the container to age, store, and safe keep the wines that you've worked so hard to create. Simple in form, but so beautiful to behold when filled, corked, and displayed. Wine bottles play an essential role in your home wine making endeavor, bottling is the last "active" step in the wine making process, but planning your bottling needs comes much sooner in the process. How Many Bottles Do I Need and When Do I Need Them? 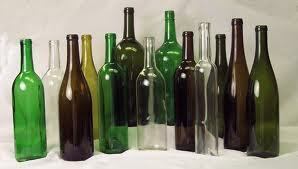 How Many: You will need five standard wine bottles (750ml) for every one gallon/3.785 liters of wine that you produce. That's a whopping 30 standard bottles needed for a six gallon (23 liter) kit!! Where Do I Get So Many Wine Bottles? Buy them - If you've got the budget and/or need a lot of bottles fast, buying them might be your best option. The prices range from about $1.00 - $2.50 per bottle (plus shipping charges if you can't find them locally), and depending on size you will likely be required to by 6, 12, or 24 bottles at a time. This is (by far) the easiest approach, but also the most expensive. Save them - If you or your friends purchase commercial wines, save the empties and use them for your own future bottling needs. It takes a bit of effort to clean, sanitize and "de-label" your saved wine bottles, but it won't cost you anything more than you are already spending on the wine you are going to drink anyway. I've found great success in promising to give a bottle or two of my homemade wine to any of my friends that save their empties for me. 12 empties for a single bottle of my homemade wine seems to do the trick! 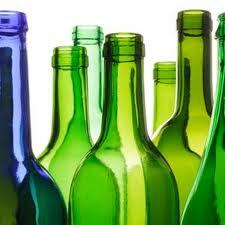 Collect them - This option is similar to #2, but if you succeed, will provide you with more bottles ,much sooner. Talk to local restaurants, bars, or any other place that serves wine, and ask them if they'd be willing to save the empties and let you come by and pick them up for a couple of weeks. I use standard size bottles for 90% of my wine. They are easy to find, making them easy to stockpile quickly. When making a dessert style wine (port or sherry), I tend to lean towards the half size bottles. Most dessert wine kits produce 3 gallons of wine, and the half size bottles allow me to fill 30 bottles. This gives me the chance to share a bit more with my friends, and the added benefit of tasting a little now and again while letting the wine mature. Smaller batches of fruit wine (1 gallon batches) are also served well in this manner. The magnum comes in handy if you have a lot of wine that you want to bottle quickly, but I personally don't like to use them. When I open a magnum, the wine needs to be consumed, and I will drink through my wine much faster using the bigger bottles. If you are a very patient person, this may be a great option for you. 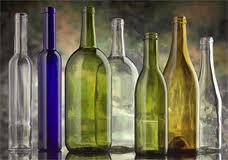 You can bottle more wine with fewer bottles, thus saving some time, money, and effort in the process.
" Every pint bottle should contain a quart"
For darker red wines (Cabernet, Blueberry, etc) I like to use the dark green, Bordeaux style bottles. It's the traditional bottle for these types of wine, and I like the way they look. For white or lighter colored wines (Apple Wine or Chardonnay), I like using clear bottles, and don't worry much about the shape. There is something absolutely wonderful about being able to see your pristinely clear homemade white wine in a clear bottle! Regardless of the shape or style of the bottles I am using, I do try to bottle all of the wine from a given batch in the same size, style, and color bottle. It's a purely aesthetic thing, but I love lining up 30 bottles of matching wine on display. "A book is simply the container of an idea, like a bottle; what is inside the book is what matters"
Bottling is one of the most exciting times in the wine making process. The final active step, the step that brings closure to the process of creating, and opens the doors to the soon to arrive day that you will pour a glass and enjoy the beautiful wine made with your own two hands.